If you didn’t know,I have a bit of hispanic in me. My version of comfort food is New Mexican food and that usually means beans, chili and homemade flour tortillas. If we are introducing our version of New Mexican food to the unsuspecting Dutch dinner guests we usually opt for an enchilada and mexican rice along side of the beans and tortillas. It is normal for me to have to bring over red and green chili since there is nothing that comes close in the Netherlands. 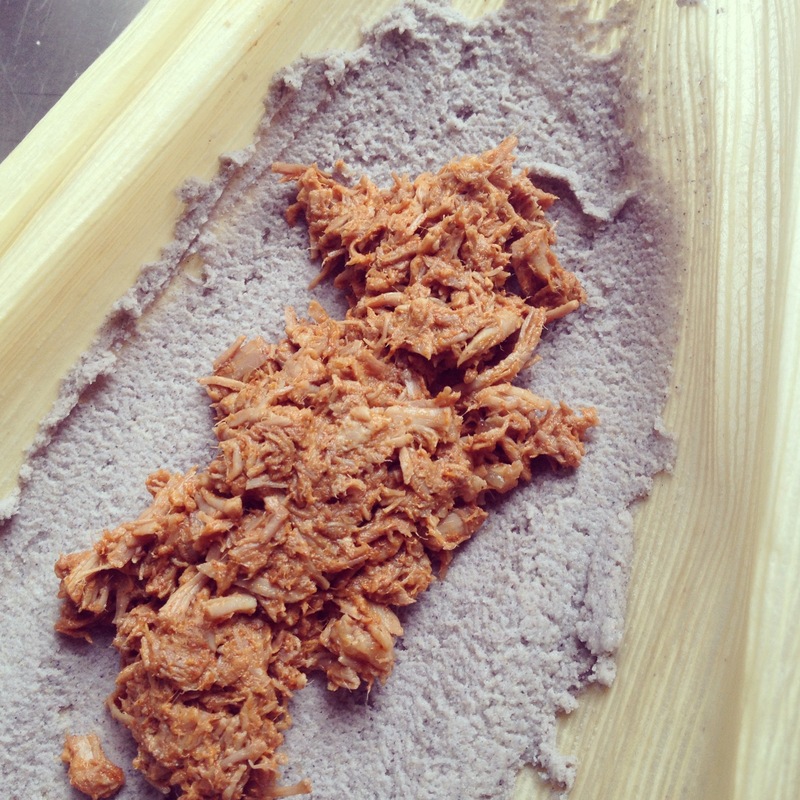 Recently my father brought over some corn husks and masa harina especially for me make tamales. Masa harina is a type of corn flour if you will. But this is not just your run of the mill corn flour, it is actually a dried and powdered form of corn dough. 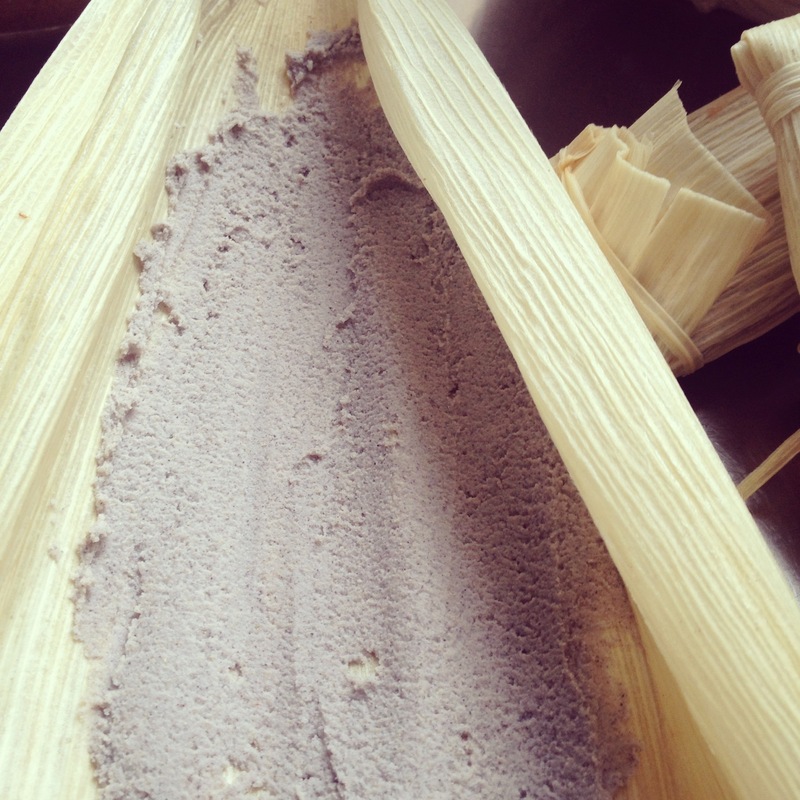 Masa Harina is made by treating the corn with a slaked lime solution, the process is termed nixtamalization. If you want to know more bout the process and how exactly they turn corn into masa harina please google this since I do not understand the chemistry enough to explain it. End result is that powdered dough form looks like corn flour but by adding water and giving it a good stir it becomes a dough and used for making corn tortillas or in my case tamales. 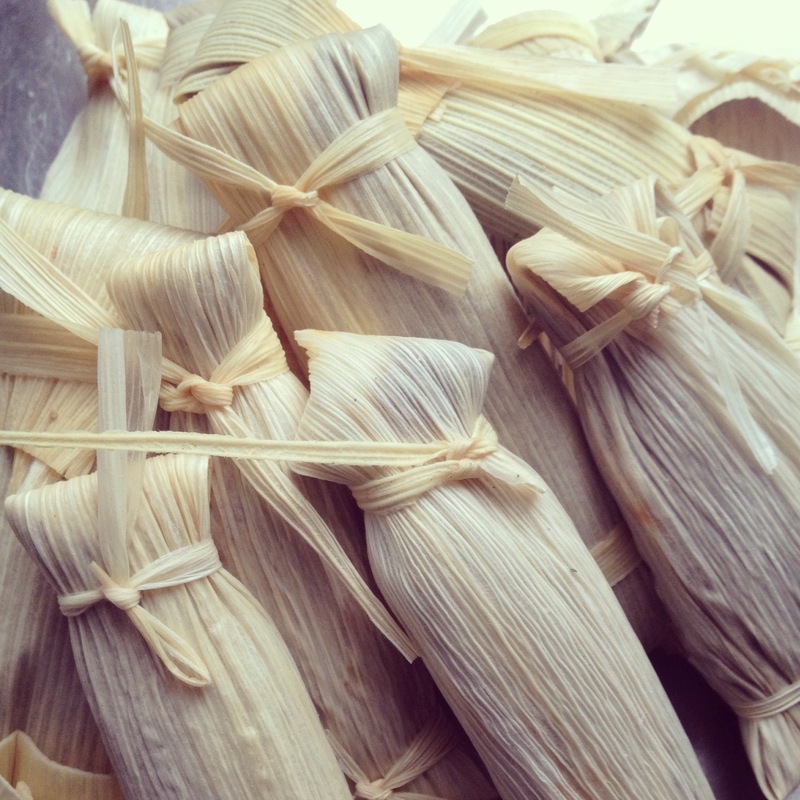 I have had my fair share of tamales at family gatherings but had never tried making them myself. They turned out fantastic! There are plenty of recipes out there on how to make these so I won’t go into detail about it but show you the pictures. Before the folding of the tamales I slow cooked some pork with onion, garlic and a bit of red chili powder. Then shredded the pork and added even more red chili powder. Making the masa harina just requires water and fat, most recipes call for lard or shortening but since I did not have any of that I just used the fat I skimmed from the pork. All that was left to do was smear a thin layer of corn dough on a corn husk that had soaked in warm water for 30 minutes, fill with the chili and meat, then fold and tie. I steamed the tamales for about 30 min and served with some beans, tomatoes and avocados. Lucky me, I had leftover tamales to throw in the freezer and rewarm for a easy and delicious midweek meal. They were so good I am already planning my next tamale making session, I just have to be careful of running out of my scarce corn supplies until I get another visitor from New Mexico to bring me some goodies.